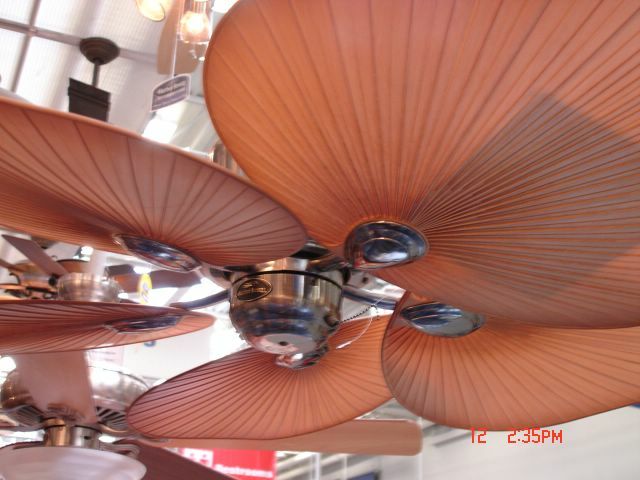 A ceiling fan is not just any light fixture, but it's an energy saving tool to use in both summer and winter. A well placed ceiling fan will help reduce heating and cooling bills by recirculating the hot or cold air already in the home. My husband and I recently dove into a home improvement project and updated a ceiling fan in our family room and we were more than pleased with the results. It really updated the look of the room and it also helped keep the room cooler in the heat of summer. The new fan had bigger more efficent blades and a clean smoother running motor. The old fan's motor had just about had it from all the dust and overuse, it had really been neglected for a long time. 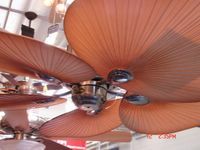 If you already have a ceiling light fixture, installing a new ceiling fan is really easy. The hardest part is lifting it up to the ceiling while connecting it but as not as you have two people, it's a piece of cake. As with any electrical project, the first thing you want to do is turn off the power. If you have a well marked electrical box, you should be able to just turn the circuit off, but if you have ANY doubt, turn everything off. Once you are sure the electric is off, you'll want to take down the old light fixture or ceiling fan. You should just be looking at a few twists of the screwdriver to get it off. Carefully disconnect the wires and keep them separated. Bring the new ceiling fan in and connect the wires and cap them off. Don't let the fan dangle from the wires! After that, you'll want to attach the fan to the ceiling with screws. You are basically done! It's important to follow the manufacturers instructions because every fan may be installed slightly different. The important thing to remember when replacing light fixtures or with any home improvement project is that you can do it, it's not that hard, and you're going to be so proud of the results! Now that you have your new ceiling fan up, you may want to consider installing a dimmer faulty switch to help regulate the speed of the fan without having to mess with the cords. If you run into any questions, check out this home improvement forum where you can browse other's advice and questions or post a question of your own.